Hello, friends -- Today I have a card to share that uses one of my favorite techniques, alcohol ink blending, to create a fabulously glitzy background for the holidays! My alcohol ink of choice is Copic Various Ink Refills, since I already have them on hand to refill my Copic markers. They are also my #1 pick for one of the Top 5 Gifts for Crafters this holiday season! The Yupo paper is coated, which allows the alcohol ink to move around on the surface of the paper, creating wonderful shade variations! You can keep working the ink until you achieve your desired effect. 1. Wet the Yupo paper with 0-Colorless Blender. 2. Place drops of desired Various Ink Refill colors (I used RV17 & RV17) and metallic mixative onto the paper/solution. 3. Tilt the paper in different directions, to get the alcohol ink color to move around, or a great tip from Jennifer McGuire is to use a drinking straw to blow the color round! 4. You can also use a paint brush dipped in 0-Colorless Blender to help move around the color. I did this, to help fill in some white spots on the paper. After creating my alcohol ink backgrounds, I used Concord & 9th's Trim the Tree dies to cut the tree out of the green paper I created, and the "fa-la-la" words and star were cut from the pink paper I created. I attached the tree to a simple white card base I created with the dot stamps from the Essentials by Ellen Modern Christmas stamp set, stamped in Delicata Golden Glitz ink. I love that I can use my Copic Various Ink for things other than just refilling my Copic markers! And since this alcohol ink is permanent and adheres to most any surface, it can be used to alter or color just about anything! What would you create with them? Specials Continue Through Cyber Monday! 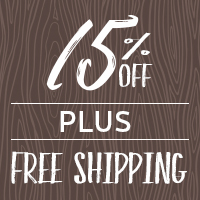 Stamp-N-Storage's holiday specials continue with 15% OFF your entire order* plus FREE SHIPPING! 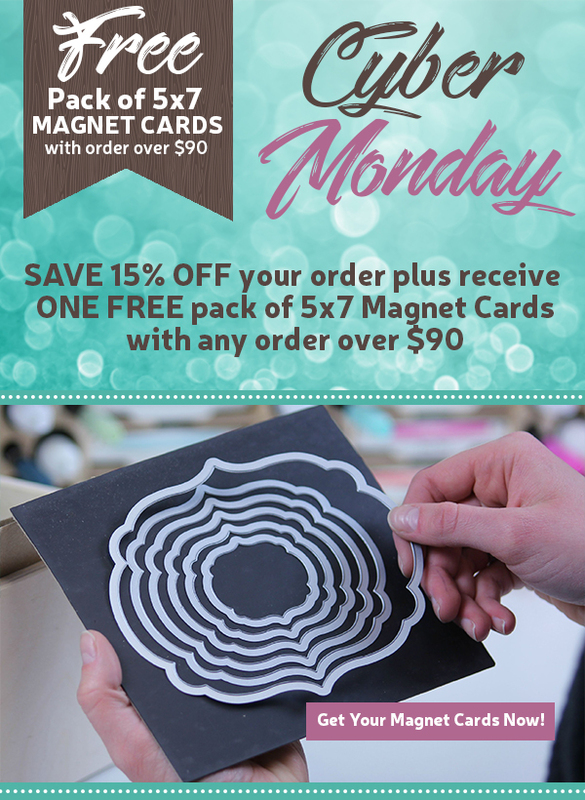 To make it even more exciting, spend $90 or more and receive a FREE PACK of 5x7 MAGNET CARDS! 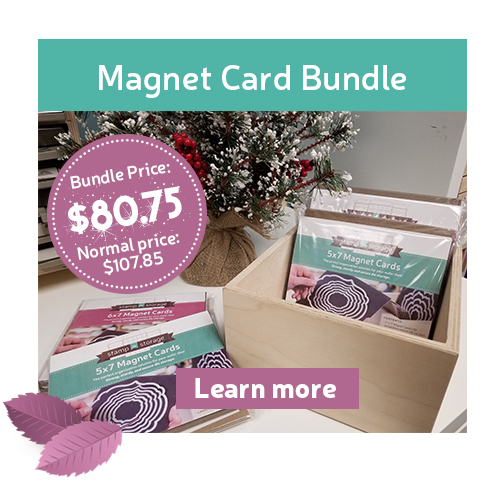 Just add the pack of Magnet Cards to your shopping cart and they'll be marked FREE during the checkout process. *Sale excludes already marked down Starter Kits & Holiday Bundles. 2017 Small Business Saturday Specials! Well, hold onto your seats again . 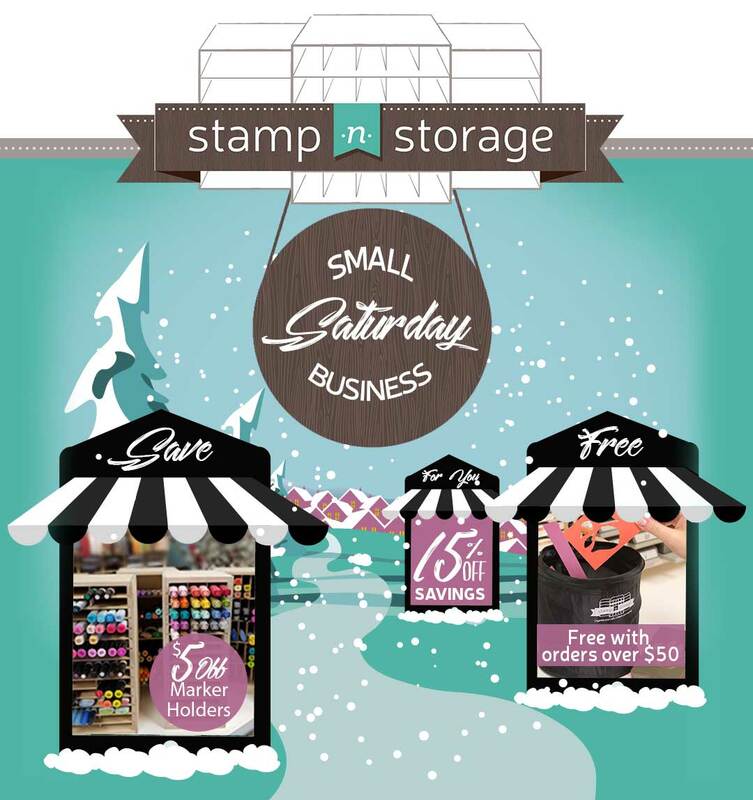 . .
Stamp-n-Storage is proud to be a small business with all their products made here in the USA! 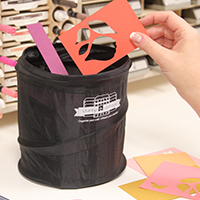 They are celebrating today by offering a FREE Pop-Up Waste Basket with any order over $50! PLUS, use coupon code MARKERS5 for an ADDITIONAL $5 OFF Marker Holders! This special even includes the latest Marker Holder for Stampin' BlendsTM. Add a Pop-Up Waste Basket to your shopping cart and you'll receive it FREE with any orders over $50! No coupon code needed. Offer available November 25-26, 2017. Just add a Marker Holder to your shopping cart and the coupon code MARKERS5 during the checkout process for this special savings. That's on top of the 15% OFF discount! Offer available November 25-26, 2017. Shop Stamp-n-Storage products through Monday, November 27, and receive 15% OFF your entire order. Sale excludes Starter Kits and Holiday Bundles. I can't believe my dear friend Ellen Hutson has had her wonderful online papercrafting store open for 11 years! I'm so honored and proud to say that I've been designing for her for 10 of those years, this month! Today's project features just a few of my favorite essential papercrafting items you'll find in Ellen's shop, including her fabulous line of Essentials by Ellen stamps and dies, by various designers. One of my favorite lines is Julie Ebersole's Mondo Flower series, which I'm using today! Ooh-la-la, meet Mondo Peony, one of my favorite Essentials by Ellen sets! This is the largest in this 4-bloom set. I allowed it to take center stage, by stamping it in Memento's waterproof Rose Bud and Peanut Brittle inks onto watercolor paper and watercoloring it with Kuretake's Gansai Tambi 36-color set. The colors I used, #34 Dark Pink, #36 Wine Red, and #42 Bright Yellow (for the peony), and #53 Mid Green for the leaves, are all also available individually. After die cutting the peony and leaves with their coordinating Mondo Peony dies, I popped them up over a watercolor cardstock base on which I painted stripes with #90 Gold. To finish the card, I stamped the pretty "just a note" sentiment (from Julie's fabulous Fancy Thanks stamp set) with the same Rose Bud ink I stamped the flower, and scattered around Pretty Pink Posh's 4mm and 6mm Clear Droplets. This post is part of Ellen Hutson's 11th Anniversary Inspiration Blog Hop. Next on the hop is Francine Vuilleme. 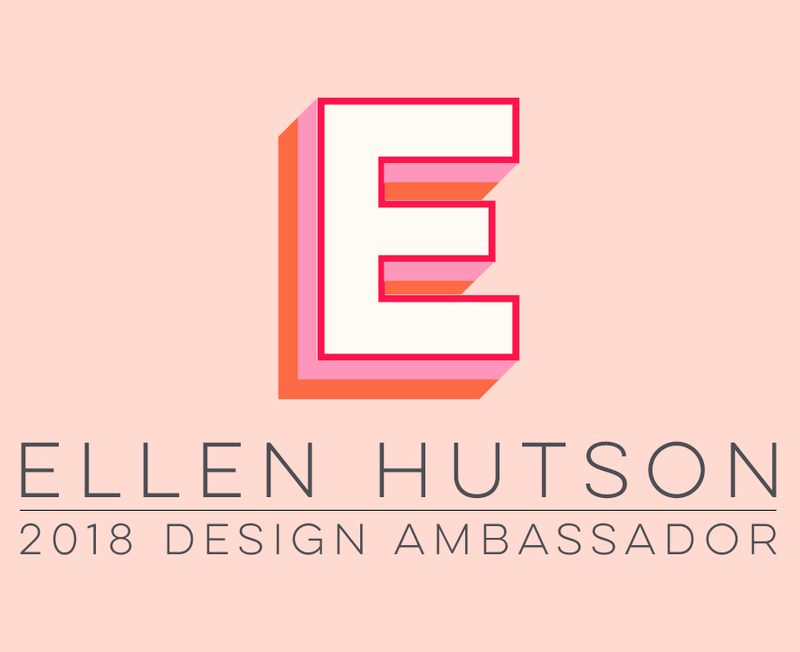 If you get lost along the way or want to start at the beginning of the hop, you can find the full list of today's participants over at Ellen Hutson's the CLASSroom blog. Happy Black Friday, Crafty Friends! I wanted to let you know about the fabulous 11th Anniversary sale going on at EllenHutson.com starting today! Just click <-- that link or the banner above to start shopping! Holiday Gift Guide & Specials For Crafters! Hello, Crafters! 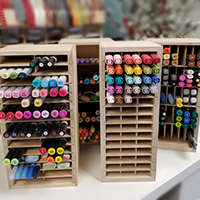 If you've been around my blog for a while, you probably already know how much I love my craft room storage units from Stamp-N-Storage! So I wanted to give you a heads-up about some holiday specials they have for you! 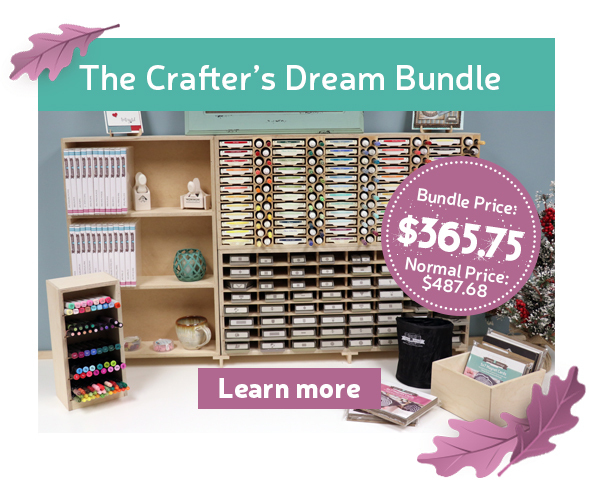 Gift bundles offer a savings of over 25% OFF and they are sure to make any papercrafter's day! A Stamp-n-Storage Gift Certificate is great for any occasion and can be delivered within minutes! Looking to save it for another day? Just email the certificate to your inbox and print for your special someone. I'll be sure to keep you posted if any other special deals become available! Check out this fabulous Hand Lettering with Copic tutorial over on the Imagination International Inc. blog. David Sorrell walks you through everything from beginning to end -- choosing your word or phrase, spacing, balance, details, ink, etc. He used Copic Multiliners SP (0.2, 0.5, 0.7) and Copic Classic Marker to create this wonderful hand lettered Courageous sign! This tutorial by Lisa Funk and Addi Robison walks you through and easy process on how to create a faux calligraphy Thank You note. They used the Copic Multiliner Brush Medium Pen, the Copic Multiliner 0.8 Pen and the Copic Multiliner 0.5 Pen. This Mother's Day card tutorial by Melody Howe gives you a free downloadable template you can customize, along with a free downloadable alphabet which you can trace. To make this an easy process, use X-Press It Graphite Transfer Paper. Customize it and make it into a faux hand lettered card or sign for any occasion! In this Father's Day Mug Card tutorial, Melody Howe gives you another free downloadable coffee mug template which you can customize with a different free downloadable alphabet! Same as above, just use the transfer paper to customize the saying you'd like to have on the coffee mug! If you would like to take a hands-on class in person with a Copic instructor, this Hand Lettering Class will be offered on January 20, 2018 in Phoenix, AZ. Are you a hand lettering pro? If so (or if you are still learning! ), please share your best tips, tutorials, and websites, so I can take a look at them! I hope you are ready for a week filled with amazing inspiration using the latest release from the Essentials by Ellen line of stamps and dies from Ellen Hutson LLC! Today I'm using the newest adorable Leading Lady by Brandi Kincaid, Photo Lady! To finish the card, I used Essentials by Ellen Stitching Lines dies to create a stitched border along the top edge and top third of the sides. Then I die cut a photo frame and stamped it with one of the great sentiments from this set and popped it up over the Photo Lady. Last Thursday I mentioned the fabulous Leading Lady by Brandi Kincaid stamp and die bundles (which includes this new Photo Lady! ), so if you haven't started your collection yet, this is a great way to get caught up (or maybe gift a friend or relative? ), at a savings! There are also two other awesome discounted bundles available this month: Julie Ebersole's Modern Christmas stamp bundle and coordinating die bundle, at a 10% savings! These would be fabulous for holiday card, tag, and gift making! To see more inspiration using the November Essentials by Ellen release products, there is a blog hop today! Next on the hop is my awesomely talented friend, Lisa Adametz! If you get lost along the hop or would like to start at the beginning, you can find a full list of participants over at the CLASSroom blog. Wouldn't they make a great stocking stuffer or gift for any crafty person you know (even yourself)?!! Thanks so much for visiting today ... I hope you'll be back on Sunday to see all the details I'll have of this project for you!